A Better, Brighter Tomorrow. The Hastings Guarantee is committed to strengthening local communities by giving back through real estate. At the Hastings Team, we have a guarantee that is all about giving back to the community we love.  Our business model is designed around empowering the community to take back all that was lost during the last housing crisis through fair and ethical real estate practices. Every home that is sold or bought through the Hastings Team allows us to contribute to our clients’ chosen charities, as well as raising awareness of those charities on our website. That means we can help every new client we work with highlight the charities about which they feel most passionate. The sad reality is, any business can pledge to give back to the community without ever following through on that promise. As part of the Hastings Guarantee, we are as transparent in our charitable work as we are in closing the sale on your home. Over the years we have formed a close bond with many of the charitable causes we support. The following charities are representative of just some of the important causes the team of Nate Hastings feels passionately about supporting in everything we do. One of the charities we are proud to support is “Raising Special Kids,” which is a 501(c)(3) non-profit organization. Parents of children with disabilities face a number of struggles, not least among them finding the support they need. RSK provides essential support for these families free of charge, and the Hastings Team is more than happy to help enrich the services available from the charity. Click Here to Learn More About Raising Special Kids! People with Down syndrome and their families can receive the support they need through help from the DSNetwork. The charity provides families with easy access to essential services as well as connecting them with other families. Without charities like the DSNetwork families would struggle to access the resources they need. This charity is especially close to our team as our leader, Nate Hastings, has a daughter with Down syndrome. Click Here to Learn More About Down Syndrome Network Commentary! For a newly diagnosed cancer patient the news is absolutely devastating. Knowing there is help in navigating the vast amounts of information on coping with their diagnosis is an invaluable service. 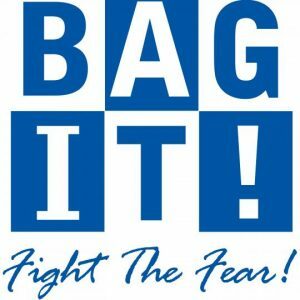 Bag IT helps empower patients to become actively involved in their own treatment. As self-advocates, cancer patients are better able to face the challenges that come with a diagnosis and any subsequent treatment. Click Here to Learn More About Bag IT! The Suzy Foundation specializes in providing support for the different aspects of special needs children to help them achieve their D.R.E.A.M.S. The Suzy Foundation hopes that you will D.R.E.A.M. with them and help special needs children make their own footprints in life’s journey. The journey into parenthood was one footprint in life’s journey that Jaime and Jeremy dreamed about but had yet to make. On October 3, 2006, the couple welcomed the birth of their first child Suzy. Their dreams had come true. A few months after celebrating Suzy’s first birthday, the couple’s dream turned into a nightmare as Suzy experienced her first grand mal seizure. After several visits with doctors and therapists, the couple received even more diagnoses: developmentally delayed, mental retardation, autism, and speech apraxia. Rather than focus on the overwhelmingly negative aspect of these diagnoses, the couple wanted to fulfill a promise they made to Suzy. That promise was to support and push Suzy to achieve her dreams. It’s not a coincidence that all of Suzy’s diagnoses contains the letters D.R.E.A.M.S. To help fulfill their promise to Suzy and children like Suzy, the couple began the Suzy Foundation. Click Here to Learn More About the Suzy Foundation!